Please note all bookings are subject to availability. For all queries relating to the excursions contact Vanessa Cave. Note: Excursions can be paid through a separate form. Please note all bookings are subject to availability. Excursions can be paid through a separate form. Description: During this leisurely walking tour, you will visit some of Rotorua’s most scenic points of interests, including Motutara (Sulphur Bay), the lakefront promenade, and the Sanatorium reserve. The walk will allow you to enjoy the city’s geothermal areas, native wildlife reserves and local historic sites. For those feeling more energetic, there is also the option of completing the 26km Rotorua Walkway. Description: Sculptured out of volcanic activity and thousands of years in the making, Wai-O-Tapu Thermal Wonderland is considered to be New Zealand’s most colourful and diverse geothermal sightseeing attraction. During this excursion, you will see unique volcanic features as you explore the park’s well-defined walking tracks. Description: This white water rafting excursion will take you on an epic journey down the Kaituna river, through 14 awesome rapids and over 3 waterfalls; including the 7m Tutea Falls – the largest commercially rafted waterfall in the world! 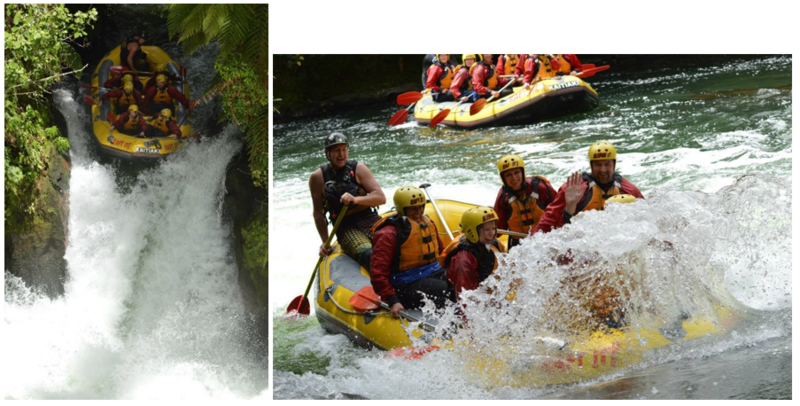 Infused with touches of Maori culture, this trip offers it all, for both white water rafting enthusiasts and first timers. No experience is necessary – comprehensive training is provided. Description: Considered by TripAdvisor users as an ‘Adventure activity with a brain,’ this is Rotorua’s number 1 ranked outdoor activity! During this excursion, you will explore ancient native forest on a network of ziplines, swingbridges and treetop platforms. There are 6 ziplines, the highlight for most being the jaw-dropping 220m tui song zipline that departs from 22 metres up a 1000 year old tree. The tour also includes 2 treetop swingbridges and numerous treetop platforms at varying heights above the forest floor. During the excursion, knowledgeable guides will share fascinating conservation and eco-tour information.